A beautiful rosemary bush begins to blossom at the La Source Parfumee in the village of Gourdon in France, Europe. A rosemary bush is an attractive evergreen shrub that flowers through the spring and summer in the humid climate at the La Source Parfumee in the village of Gourdon in France, Europe. 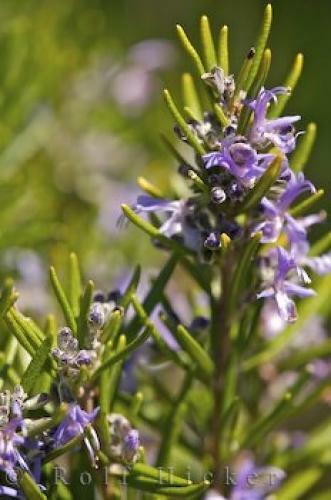 The La Source Parfumee grows the rosemary bush for its essences that are used in a special process of making perfume. The La Source Parfumee along with the Old Distillery and the Candle Making Workshop are very interesting places to visit while in Gourdon, France. Flowering Rosemary bushes, Rosemarinus officinalis, at La Source Parfumee Gardens, 3 kms from the village of Gourdon, Alpes Maritimes, Provence, France, Europe. La Source Parfumee in Gourdon, France.